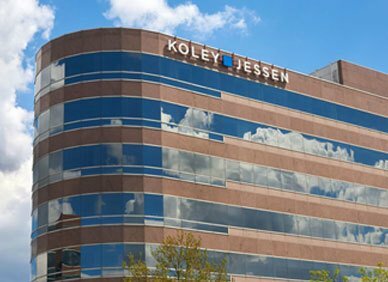 At Koley Jessen we strive to improve ourselves every day by learning constantly, embracing feedback, and working together as a team in order to build our firm for today and tomorrow. As we grow, it is our goal to preserve our small firm roots and be a great place to work, where people feel gratified in their role. Day-to-day, we operate with an open door policy, where our employees are free to work with a variety of shareholders and staff. We value family and personal obligations and enjoy celebrating individual efforts and achievements. In an environment where we truly enjoy each other's company, we offer many opportunities for collaboration and recreation. From being active in various firm committees, to attending regular happy hours, holiday luncheons, or team building events, we really get to know our colleagues.